Thread: Lighted door latch mod. Anyone who knows my car (11035) knows i did alot of custom 1 off things and still doing more. 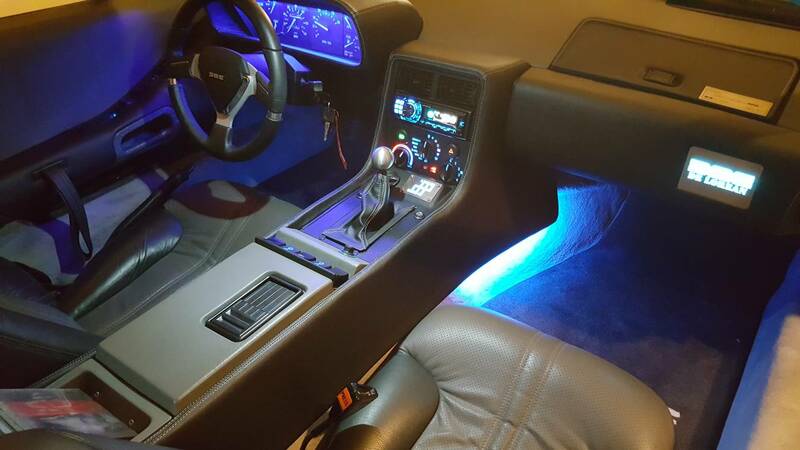 I look at my wifes brand new Challenger R/T Shaker for alot of ideas. 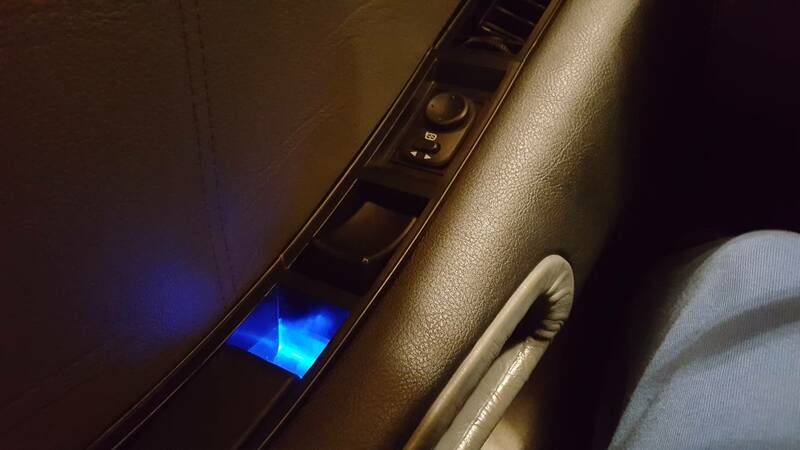 Limed how her car has lighted door handles and decided to do mine in blue and came out pretty cool to say the least and you can see where your door latch is at night now. That's pretty cool. I am looking into something like that with some ambient lighting in the spring. Since the marker lights are off when the door is closed, where did you tap power lines from? Edit Duhhh, I guess you used the door lock wiring? I actually tapped right into the wires at the upper top part of the door where the mirrors at and those are the wires that would have powered the heated side view mirror feature that never appeared in our cars and I believe it's white with a green tracer and black. 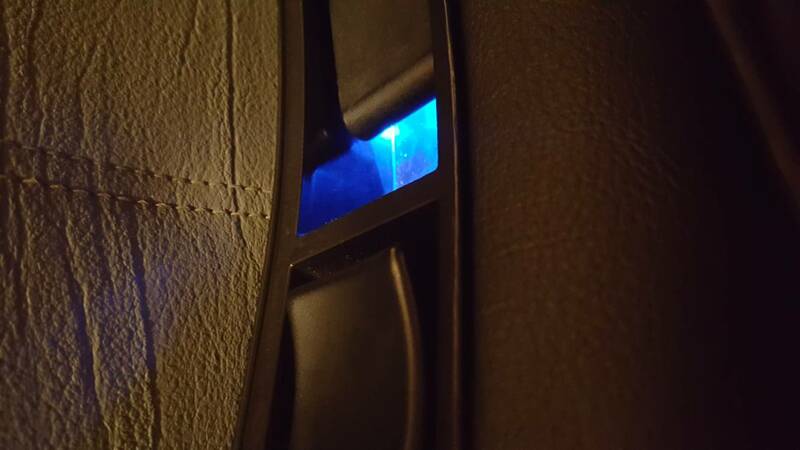 I found the lighting at AutoZone and it's a small little blue LED that on the one side has 3M adhesive so I just stuck it to the very bottom of the door latch and to access it easily I remove the upper door panel and the center pool bar where the older style door strap wraps around so I can get in there with my hands to sticking on nicely. 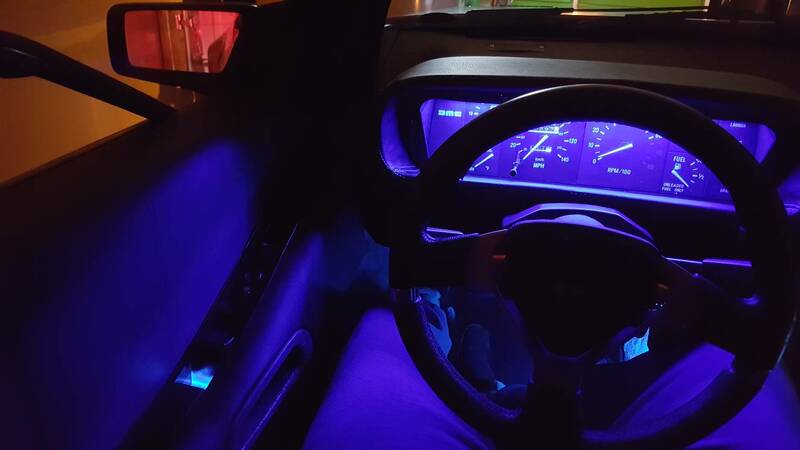 I added a little bit of ambient lighting to my car to give it a nice relaxing atmosphere. I still got a lot more stuff that I'm contemplating that my friend and I have been working on for our DeLorean car club. 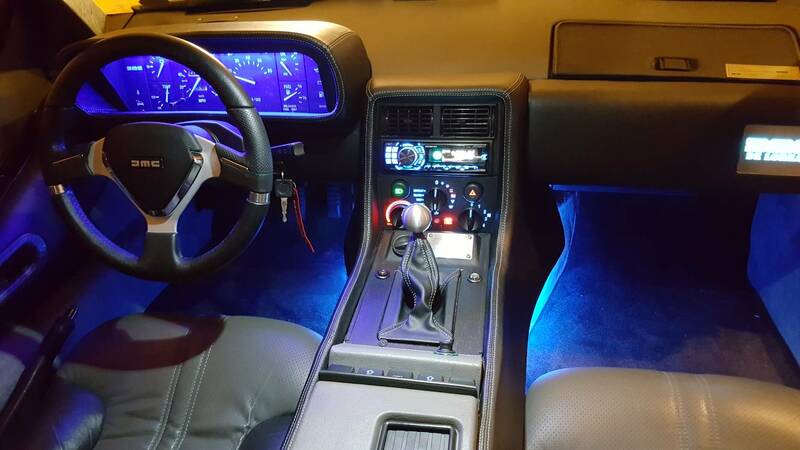 I admit when I saw your earlier pics I thought you just put up the foot well but it looks like you under lit the center console. Nice. I think I am going for a very subtle ambient theme. 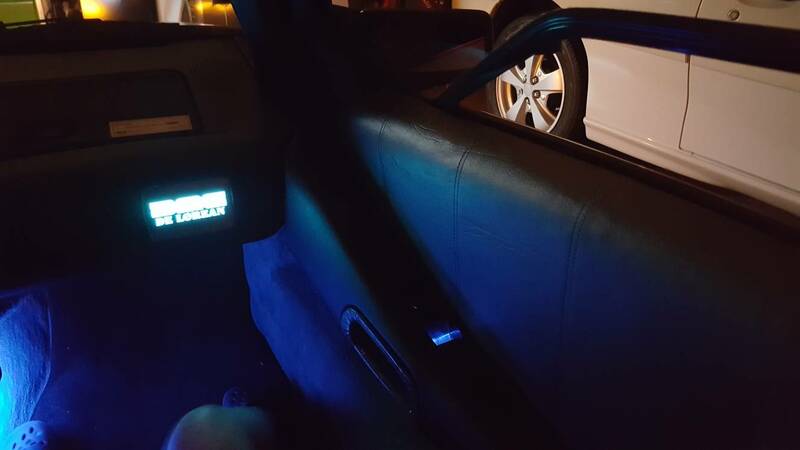 The Maxims has what looks like EL wire running the length of the dash and door panels but only the glow is visible because the wire (or other light source) itself is hidden. On the 2017 Maxima I rented it was several hours after dark before I even noticed. I guess it was dimmly lit till you noticed? I have EL light panels for the gear pattern plate and the DMC logo on the knee pad. I modded the cluster by widening the 4, 194 bulb holes to fit a larger 194 bulb that holds 19 led per bulb for a total of 76 led altogether. The standard led 194 replacements wouldn't have been bright enough. Though it look REALLY bright in the pics, its not glaring or hurtful to your eyes. Hey where is the Like button?